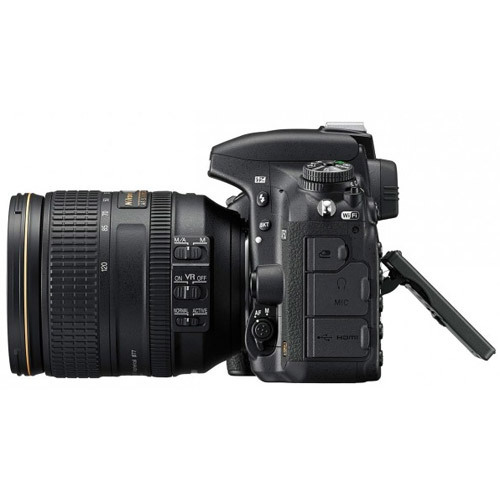 With features inspired by D4S and D810, the D750 brings dazzling image quality, cinematic video capabilities and pro-inspired handling in a nimble design with a tilting Vari-angle LCD and built-in Wi-Fi connectivity. 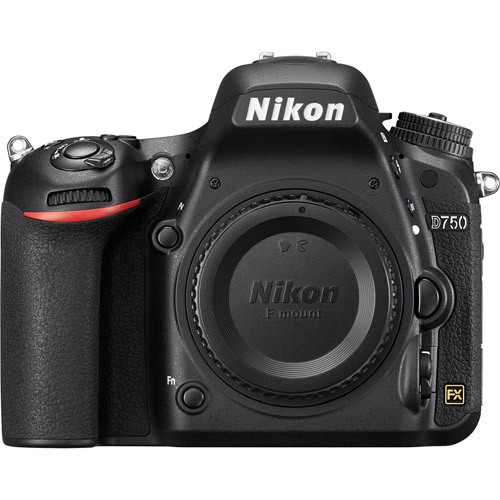 Enthusiasts upgrading from a DX-format D-SLR will marvel at the D750's full-frame performance. Pros seeking a primary or secondary camera for fast-paced shoots will appreciate the D750's familiar handling and speed. And filmmakers looking for a compact D-SLR to bring a production to life or to capture B-Roll will find the D750 a perfect fit. The D750 is a thrilling centerpiece of an exceptional imaging system. Like every Nikon full-frame D-SLR, the D750 achieves a level of image quality few other manufacturers can match. Its newly designed 24.3MP FX-format CMOS image sensor is paired with EXPEED 4 image processing for fast frame rates, a low noise, wide ISO range of 100 to 12,800 (expandable up to ISO 51,200), Full HD video with enhanced definition and reduced noise at high ISO sensitivities, minimal moiré, jaggies and false colors and a Nikon first—autofocus performance down to -3EV. Paired with the versatile array of full-frame or DX-format NIKKOR lenses, the D750 is capable of telling any story you can imagine. 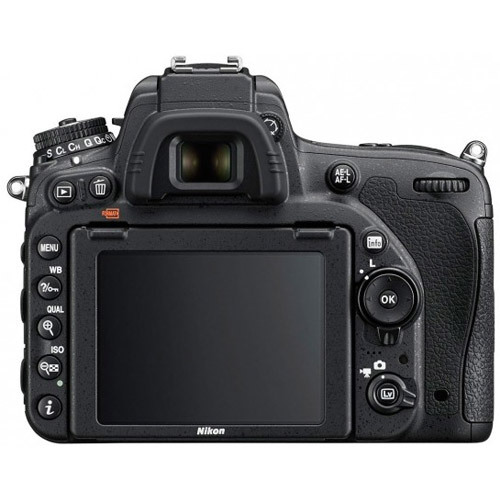 A first for a Nikon full-frame D-SLR, the D750 features a 3.2-inch 1,229 dot tilting Vari-angle LCD display. It has RGBW alignment and color balance customization, so it can be matched to an external monitor. Use it to shoot from high and low angles, to spot-select white balance during Live View shooting, to access the intuitively redesigned Info. 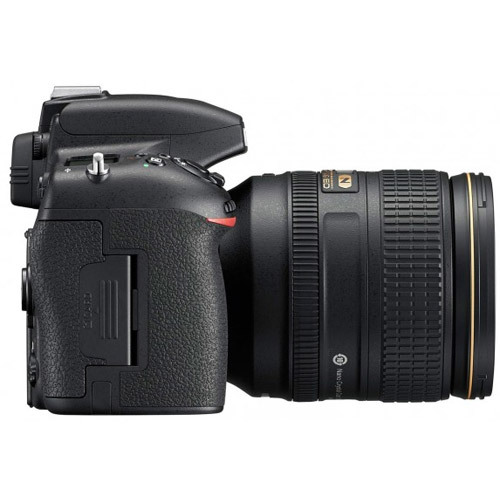 display or to change settings quickly from the separate Photo Shooting and Movie Shooting menus. Match your view and your vision with the 100% coverage optical viewfinder, which has a bright, clear organic EL display system for making adjustments without taking your eye off the action. 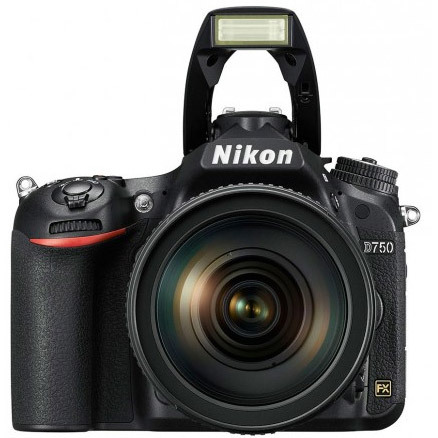 Another first for a Nikon full-frame D-SLR, the D750 employs a compact, lightweight and slim monocoque body design. The front body and front cover are constructed from carbon-fiber reinforced thermoplastics, while the rear and top covers are magnesium alloy, for a balanced combination of nimbleness and ruggedness. This slim styling and ergonomic layout allows for ample grip space and comfortable handling. And with its energy saving EXPEED 4, you can expect to keep shooting for up to 1,230 shots* and up to 55 minutes of recording time. 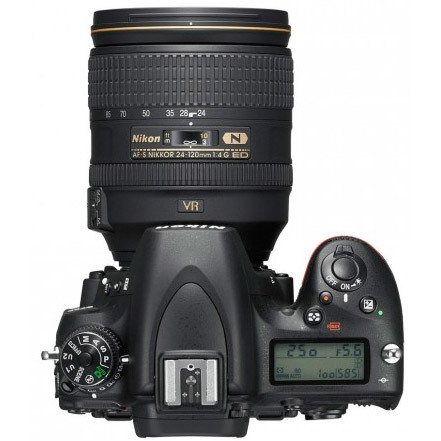 AF NIKKOR lenses, including type G, E, and D lenses (some restrictions apply to PC lenses) and DX lenses (using DX 24 x 16 1.5x image area), AI-P NIKKOR lenses, and non-CPU AI lenses (A and M modes only).